As you already know, lighting plays a significant role in mood creation. The way you direct the light, also significantly affects the overall atmosphere in your artwork. For example, high contrast lighting will create a suspenseful atmosphere and lead the entire story. In both of our examples, lighting has a symbolic note that, in this case, convey sadness. Sometimes, it may be very hard to depict a complex emotion such as sadness. If you are struggling with the representation of complex emotional states, you should think about your own experience. That is how great artists do it. Both artworks depict sadness but in entirely different ways. 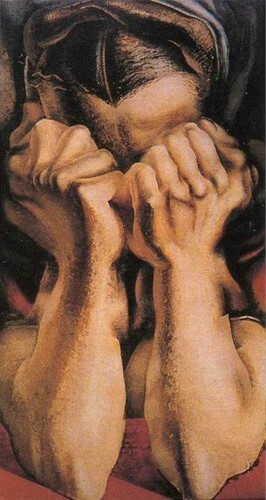 The painting by David Alfaro Siqueiros conveys deep sadness without even showing the person's face. If you take a look at the figure's body posture, especially the placement of the hands and the lines defining the knuckles, they clearly tells us that this person is sobbing uncontrollably. Relating to this body posture can only come from personal experience. So, to accurately express your emotions, think how it felt the last time you were overtaken with sadness or whichever emotion you are trying to convey in your painting. Try to imagine your feelings in specific lines, colors, and shapes. Vik Muniz was actually inspired by Picasso's famous painting Weeping Woman, but he selects a different color palette; presumably the ones that evoke sadness within him. Ask yourself : Does it feel better to represent my emotions by depicting an entire scene or something abstract? You won’t make a mistake no matter which option you choose, as long as you are depicting it from your own life and personal experience. Many artists who struggle to represent an emotion plan ahead by putting words to paper first. If you have a piece of art in mind, instead of directly depicting it, try writing it down or making a mind map. Think about all the major themes and ideas swirling in your head. What is the first word that comes to mind for those themes? Write that word down, and then add corresponding terms. When the time comes to create your painting, sculpture or whatever else you have in mind, you can use these words as guidelines. Make sure you have carefully explored various themes and subjects that relate to the word. Exhaust all possibilities until you are absolutely sure there are no more related ideas left. The end result should perfectly convey all the emotions you wanted to express. By disassembling complex emotions, you may come up with unique characters and backgrounds for your artwork. You may even come up with new symbols. Symbolism is another excellent way to express feelings in art. 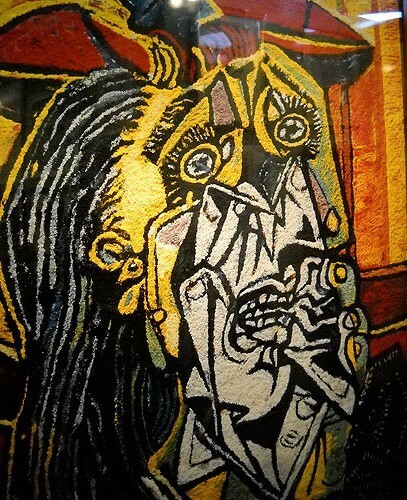 For example, many people know how Picasso’s Weeping Woman looks like. Vik Muniz basically reinterprets it and uses it to create his own symbol of sadness. Your artwork should always have a more in-depth story. If you want to get attention, you have to add a little back story or some elements that will make the audience want to delve deeper into the character or the scene, and seek meaning. Many artists incorporate elements that will make their audience curious. For example, Siqueiros hides the identity of the crying person. We wish we could see the person’s face and find more about him or her. Why is this person crying? What caused the anguish? The artist has invited us to explore, think and question. By adding an aspect of mystery or small details that will catch the observer’s eye, your audience will not only appreciate the piece more but delight in it. When the audience is looking at a recognizable narrative, they will connect it to their personal feelings and experience much easier. If you don’t want to use a narrative, you can opt for universally shared emotions. For example, sadness is an emotion every person has definitely felt at least once in their life. However, what triggers it can be very different for each person. As an artist, you should choose a trigger that anyone can relate to. An easy way to evoke emotion is by adding sensory interruptions, uncomfortable tactile sensations or empathic discomfort. In Siqueiros’ painting, the placement of the hands and the lines defining the knuckles look very sharp and tense, almost as if the person is going to get injured from the extreme clenching of their fists. This causes empathic discomfort in the viewer. By disrupting sensations or placing things where they are most unwanted, the viewer gains empathy towards the subject matter, intensifying their experience of the emotion. Mary Ann Cohen is considered one of the nations most successful and respected art dealers with over 35 years of International visual fine art experience. 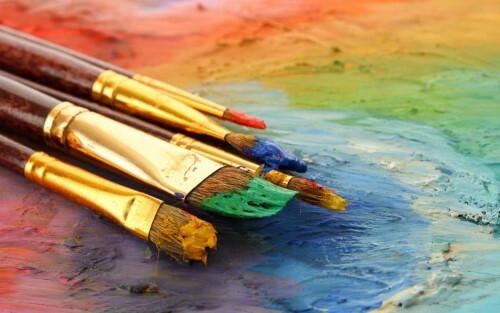 She actively encourages the use of art therapy in her galleries.